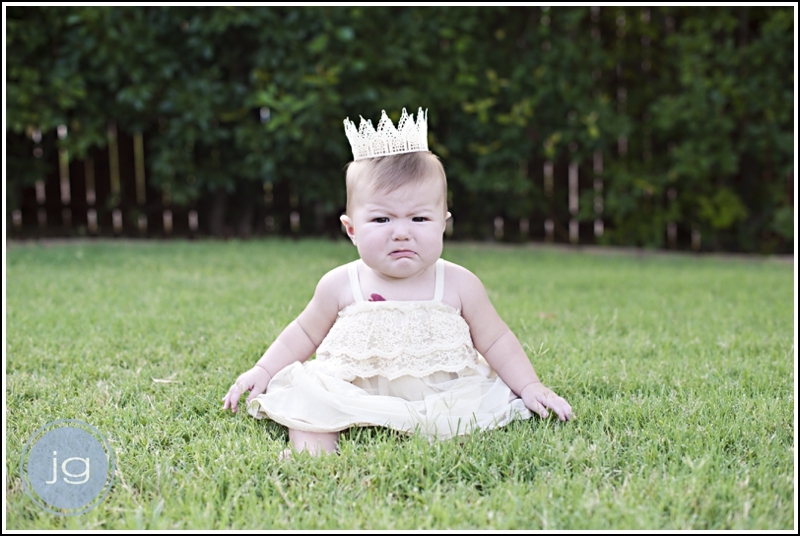 Or perhaps this post should be titled "The Grumpiest Princess!" 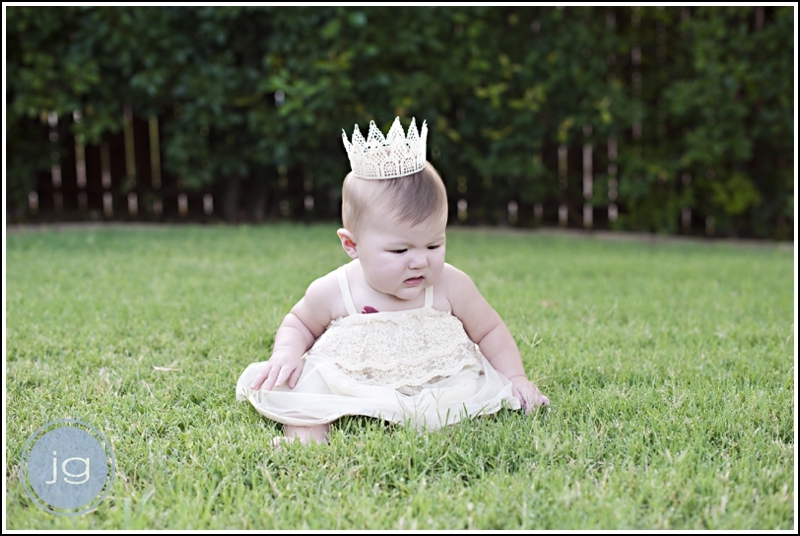 In her defense thou, it was hot out and her first time sitting on grass...it's not the softest stuff in the early August heat here in north central Texas! So this was a super quick session, I tried to make it as painless as possible for all of us...what you don't see are Jack and Sophie hovering nearby as well! 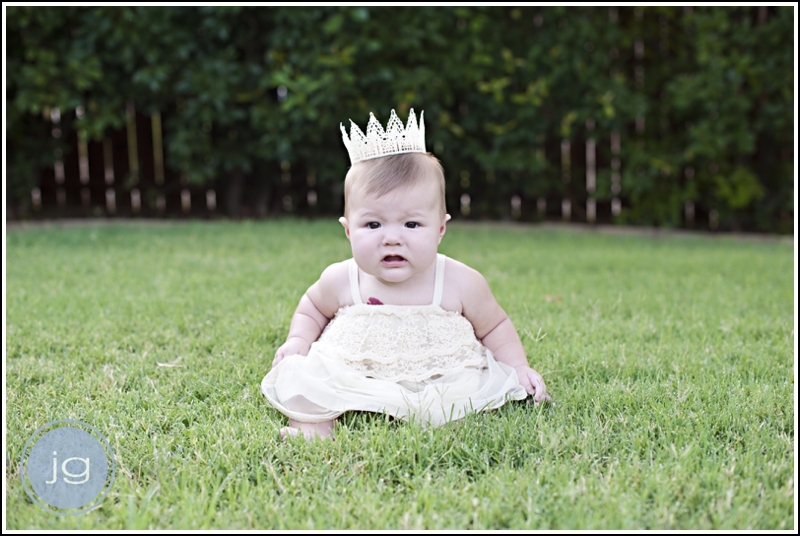 Her little "crown" is made of lace and a healthy dose of fabric stiffener, thank you once again Pinterest! It has been quite some time since my last post, and as you can see, a LOT has happened! Mainly, we had a baby! Oh, and moved back to Dallas! I could go on and on, but suffice it to say that a very rocky road has finally led us to our little miracle baby, and back to our house in Frisco, TX. Life has been a whirlwind since February 5, and it's just the beginning! I am promising myself I will get better at taking pictures of G with something other than my iphone, but come on, it's just so easy and it's always in my hand. 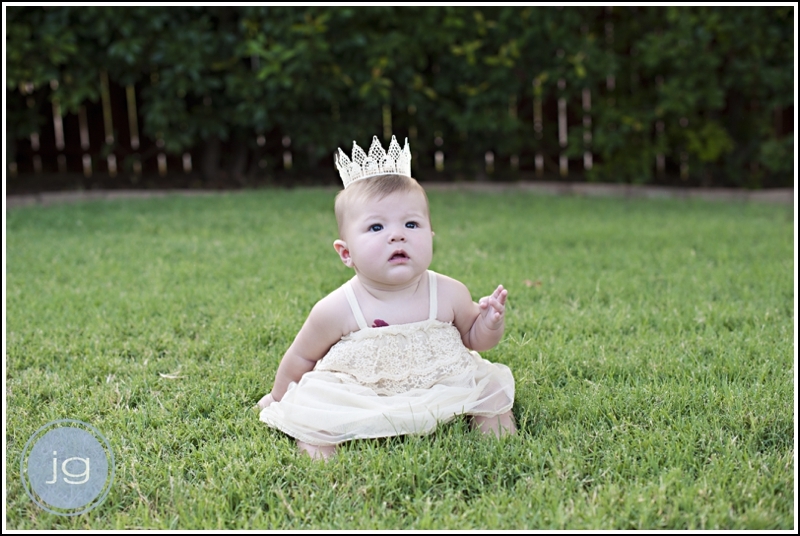 As my friend Mandi Contreras reminded me before I left CA, she will only be little once and I need to take more pictures! I know! I know! So here you go! 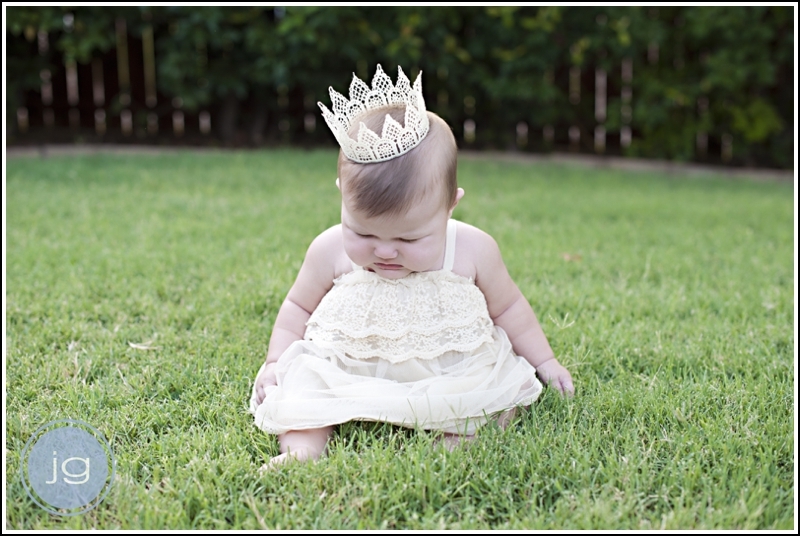 And for those who see enough of her on FB and Instagram, well, what's one more time! Love you all! 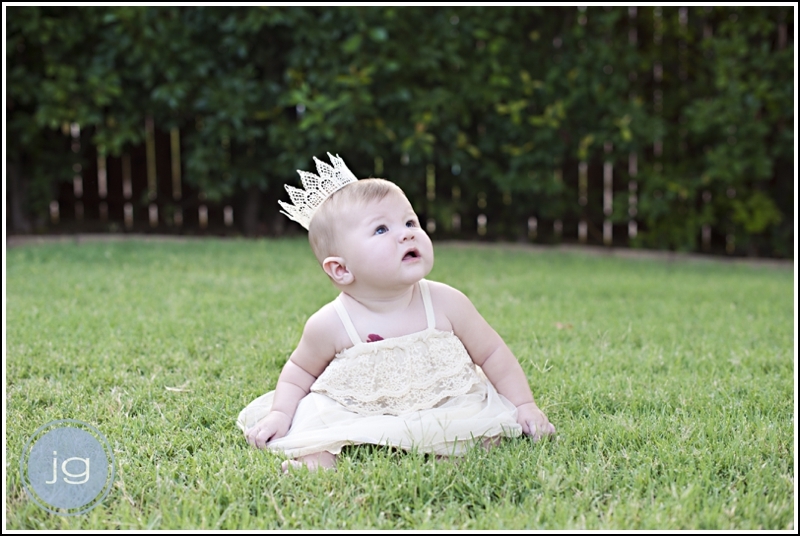 Oh and Dallas friends, Fall/Holiday mini-sessions coming your way in a couple of months!